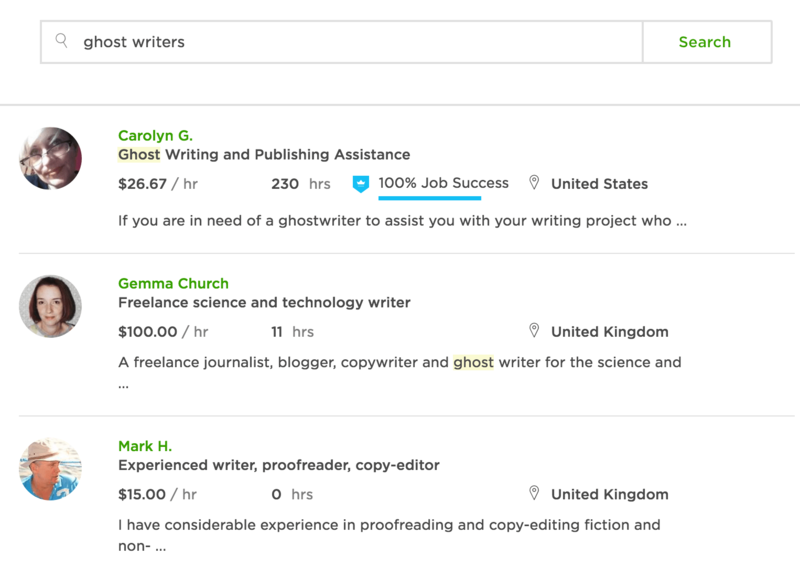 Upwork is one of the biggest freelancing platforms in the world connecting independent professionals (freelancers) and businesses (clients). In this section, we’ll cover the main things you need to get your profile going strong: title, photo, and profile overview. Before we start, here’s a quick little thought for you. Have you ever wondered what the whole process is like from a client’s perspective? Well, usually it starts (and ends) with a profile. Things like hourly rates, rating, total hours worked, and so on are also important but they come second. 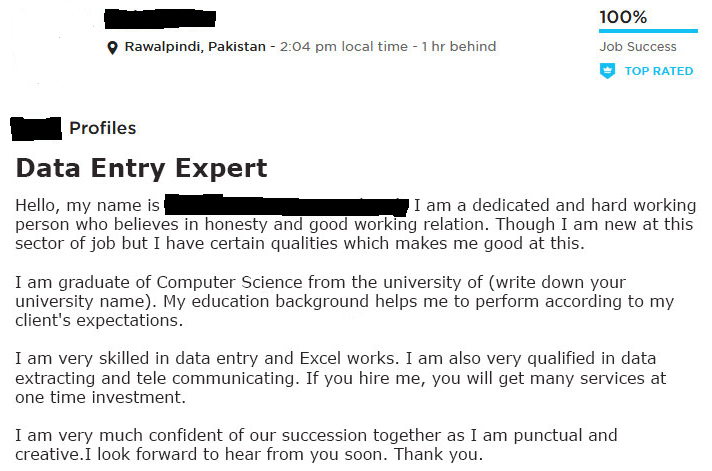 Therefore, we should concentrate on perfecting the job title, photo, and description first. “Well, what’s the big mystery here,” some of you might say. Sure, if you’re a graphic designer, you can simply write “graphic designer” in your job title but that won’t do you any good. Why? Because there are probably some 100,000 or so graphic designers on Upwork already, and you’re definitely not going to stand out amongst them. You got the idea. Anticipate what your clients might be looking for and give them that. Did we mention no lies? Another basic thing a lot of freelancers tend to overlook, especially developers since they are usually more introverted. The recipe of a nice, trustworthy profile photo is very simple: a professional close-up shot of your head, genuine smile, and nothing more. This profile pic here is awesome! Also, note the catchy job title. Rule #1 – please, do check everything your write for spelling and grammar mistakes. Especialy if your a copyrighter! Rule #2 – don’t hype yourself up using subjective terms like “goal-oriented”, “reliable”, etc. Instead, describe briefly WHAT you can give to your clients. Yeah, it may feel a bit too informal for someone’s taste but overall, it’s decent and engaging. That does it for the three most important elements of your Upwork profile – job title, photo, and overview. In fact, Upwork themselves have posted an article for business owners detailing the main points to consider when choosing a freelancer – read it in full, it’s worth it. Here’s a model profile as suggested by Upwork, with their notes. 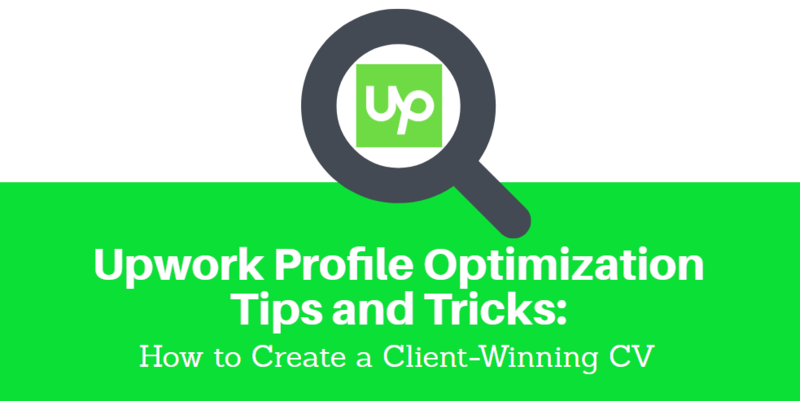 In this section, we’ll give you some additional tips and tricks on Upwork profile optimization to impress even the most demanding clients with your impeccable profile. This will give your potential clients a chance to browse your portfolio and get to you more as a person. If you’re a graphic designer, linking up your Behance, Dribbble or similar account is a must. Even though Upwork say it’s optional, we believe it should be done first thing after you create an account. It’s super easy and will eventually pay off big time. You can list up to 10 skills describing what you can actually do. Again, it’s optional but we strongly suggest you list them because it’s good for your Upwork profile optimization. Another optional feature which we think is crucial to a proper Upwork profile optimization. Even if you are not a professional video maker, suffer from an extreme form of camera shyness, or simply don’t have the time/money to do this, you should do the introduction video anyway. As you may know, Upwork offers a variety of online tests to assess your knowledge in a particular field ranging from English grammar to XML to Adobe apps. The results are shown in your profile and visible to the clients. The tests are not mandatory. Moreover, even if you fail some test and get a poor score, you can always retake it or simply not display the test in your profile. That being said, Upwork tests are a great way to confirm your skills in the eyes of potential clients and boost their interest in you as a specialist. Learn more about tests here. The rule of thumb is to put every piece of information that might help your potential clients make the right choice – in your favor. 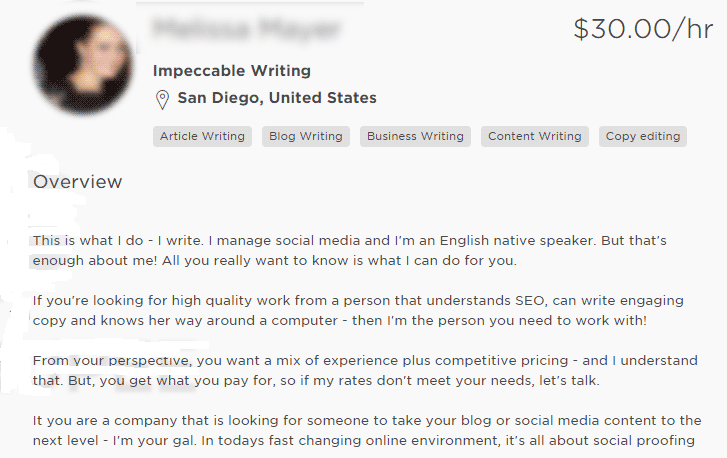 That does it for today’s “Upwork Profile Optimization Tips and Tricks: How to Create a Client-Winning CV” article. Make sure you got the three most important points first – your job title, photo, and overview. Then, move on to the less (but not least) important elements such as linking your social accounts, listing your skills, and so on. Being a freelancer is extremely rewarding. You get to do WHAT you love, WHERE you love, and HOW you love it, helping people and making money as you go. Follow these simple but effective tips and don’t get discouraged if you don’t become a go-to guy in a week. Instead, build your profile and reputation steadily, with every new completed gig. Be honest with yourself and with your clients, and the rest will follow. It will make your Upwork profile optimization smooth. Good luck!